Our CEDARSPAN Cabin and Cottage range provides the perfect solution for rural property owners who are lacking that piece of living space required to fully enjoy the country lifestyle we all enjoy so much. 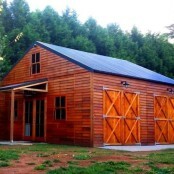 Whether for quad bikes, fishing gear and equipment storage or simply a camping house, our CEDARSPAN range of Timber Barns and Farm Sheds provides a perfect exempt solution for rural property owners who need some lifestyle space fast without the unnecessary headache of council approvals or building permits. 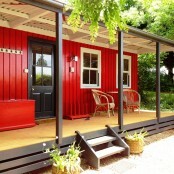 Our MELWOOD solutions are extremely popular as garden storage sheds, home offices, pool cabanas and teenage retreats. The perfect answer for your outdoor living and lifestyle, our standard Cabana and Shed ranges are designed to be exempt from council approval in Sydney & NSW. 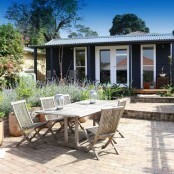 Most granny flat projects turn your backyard into a construction site with contractors coming and going for 3-6 months. GREENSPAN Granny Flats are only a week to lockup and a fortnight to completion!! By choosing GREENSPAN for your Granny Flat project you can recognise greater return on investment by taking advantage of such quick turnaround times. Greenspan Group creates space to live, work, play and relax. Our pre-built, flat-packed and panelised living, storage, and space solutions are the easiest and most rewarding way to enhance your everyday life. We make it easy to bring your dream lifestyle to reality. Our spaces are fully flexible to meet your needs – whether you’re after a garden room, seaside villa, country cottage, or an urban studio. With a host of styles for rural and urban storage, studios, cabins and dwellings, you can create your whole space in one place. We take the stress out of building. Our complete panel system uniquely combines the highest quality and workmanship with speed, ease, and low cost construction. It’s so much more than just a shell, including cladding, insulation, windows, roofing other extras to suit your specification. Your space is literally built before you start.